French Lonewolf have had a tough time with critics throughout their career, mostly due to the vocals of Jens Börner and the fact that they emulated Running Wild’s mostly ’90s albums almost too close for comfort at times. Reviewers met their albums with very different results, so the expectations for their seventh album Cult of Steel, and third in as many years, were just as split. Nobody expected any realignment of the style and the Frenchmen still sail the seas between heavy and power metal, with Börner’s characteristic Boltendahl-inspired gravelly approach continuing to firmly split the listeners, so business as usual one might say. 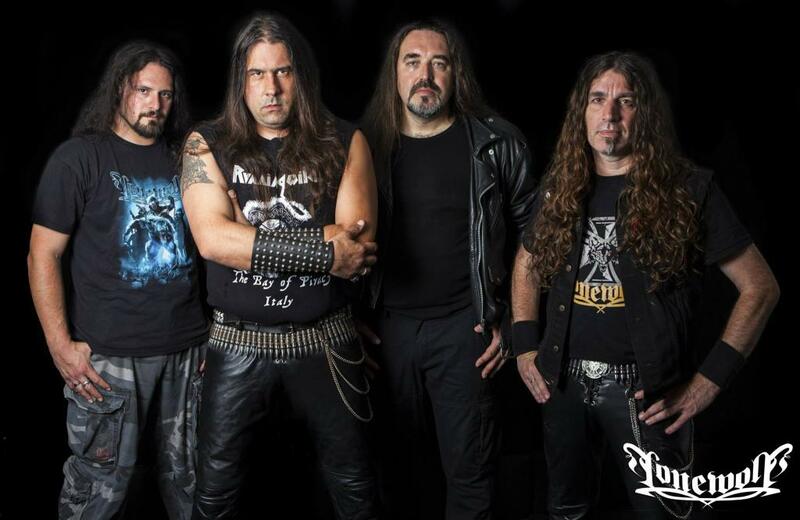 Compared to predecessor The Fourth and Final Horseman, Cult of Steel has a better balance of quality, a bit like Army of the Damned from 2012, yet without resorting to copying the strengths of said album (even though some naysayers will claim that the band has copied itself since the beginning, but that is beside the point). Not only do energy and drive dictate most of the songs, but the melodies form a good counterpart to the vocals, which are still not great, but mostly fit well with the compositions. And the one-two punch of the dynamic duo “The Cult of Steel” and “Hordes of the Night” form a potent start to reel you in, with energy, some Running Wild-isms in the riffing department, powerful choruses with some choir, but after that we see a bit of a drop. The next three tracks are not bad, but they lack some punch in the chorus department. Although “Hell’s Legacy” builds up nicely, the chorus’ lack of power and inspiration lets it down. Almost as if they needed this short break, Lonewolf are firing on all cylinders right after, with the slow and epic “Funeral Pyre”, the edgy “Force to Fight” with its great chorus, the more aggressive “Open Fire,” or probably the best track of the album, “Mysterium Fidei,” which builds up this dark and dense atmosphere over a melody that threads throughout the track. Also worth mentioning, the DigiPak version contains two bonus tracks: 2008’s “Made in Hell” and 2002’s “Children of the Unlight,” a pair that greatly benefit from the better production and improved vocals. Not all tracks manage to keep the same level of quality, but when they hit it right, they really hit it right. 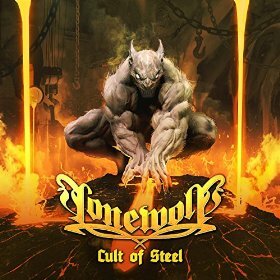 The added epic atmosphere aids as a good counterpart to the energy and while Lonewolf probably are never going to make it out of the shadow of their influences, Cult of Steel is an entertaining heavy/power metal album that fans of the older school should enjoy. This entry was posted in Reviews and tagged 7.5, Cult of Steel, France, Heavy Metal, lonewolf, Massacre Records, power metal, Running Wild. Never understand why people think that the voice is the problem of Lonewolf. It is so good to listen a band with a different voice ! Probably one of my favourite voice in heavy metal ! I enjoy my fair share of vocalists that are different, see Sabaton or Dark at Dawn, but Jens' sometimes doesn't get all the way he would want it to go. That's my only gripe with it. It definitely gives the songs character, no doubt about that! Thanks for your answer. I think that's we all have ours "feeling" with voices. For exemple, i like the Sabaton voice but in time it become a little boring for me. I can't imagine Motörhead without the voice of Lemmy even if he's not a "great" singer. On Cult Of Steel, I think that the voice is perfect for a song as Funeral Pyre. I mean that the feeling will be not the same with another voice and i think that this song was totally written (by Alex) for the Jens voice.